Manchester United will demand €100m for Anthony Martial, who has emerged as a target for Chelsea this summer. Ronaldo’s move to Juventus is set to shake things in London this transfer window, as Real Madrid have now identified Eden Hazard to fill in the Portuguese’s boots at the Bernabeu. Florentino Perez is a big fan of the player, and is ready to splash the cash to bring him to the Spanish capital. Reports suggest that Chelsea are hoping to price them out of a move, in order to keep the Belgian captain at the Bridge. It will be difficult for the Londoners, however, as the player has already shown his ambition to join Los Blancos over the past years. Therefore, as per The Times, Chelsea will eye a move for Anthony Martial if Hazard does leave this summer. The Frenchman hasn’t performed at the top level for the Red Devils since the arrival of Jose Mourinho. Martial was a star in Van Gaal’s last campaign at Old Trafford, scoring 17 goals that season. But his form has dipped badly since then. Under Mourinho, he made 89 appearances in two seasons, finding the net only 19 times. 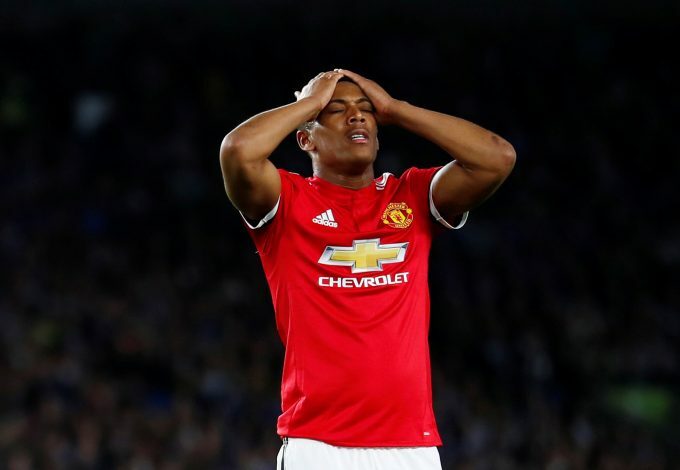 After Sanchez’s move to United, Martial has failed to score a goal, and has dropped behind Marcus Rashford in the pecking order. The youngster also lost his spot in the French side that won the World Cup in Russia this summer. Chelsea‘s new boss, Maurizio Sarri, believes Martial could lead his team’s attack. But Manchester United are set to demand a fee of €100 million for the winger, as per OneFootball. Bayern and Dortmund are also said to be interested in the player. Martial’s current contract is set to end next summer, but the Red Devils so possess an option to extend by a further 12 months. However, Mourinho could just be convinced to cash in on the player and bring in a specialist winger before the summer window shuts.